(CBS/AP) UNIONTOWN, Pa. - Chances are pretty good that the Super Bowl party a couple of Pennsylvania men held this February was wilder - and gamier - than yours. 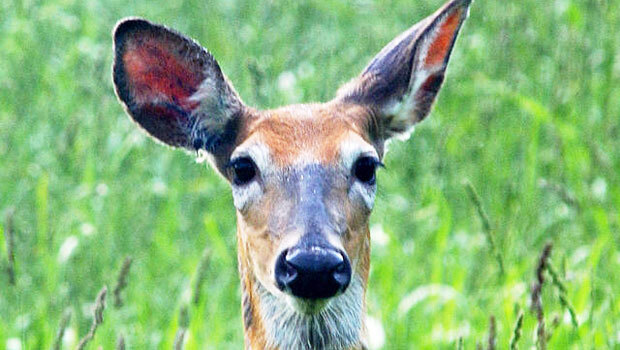 A wildlife conservation officer says the men will be fined $3,000 each, and lose their hunting licenses for years, for poaching two deer so they could serve venison at their super bash. Officer Jason Farabaugh tells the Pittsburgh Tribune-Review that 21-year-old Christopher Layman, of Uniontown, will have his hunting privileges suspended for eight years, while 35-year-old James Donaldson, of Lemont Furnace, will lose his for five years. Farabaugh says the misdemeanor poaching charges were reduced to summary offenses in a plea agreement Wednesday in Fayette County. The officer says the poachers killed two deer out of season on Feb. 5 for their Super Bowl party the next day. Bad deal all around, since the team they presumably were rooting for - the Pittsburgh Steelers - lost the game to the Green Bay Packers, 31-25.